Learn how to impress potential employers and develop your employability. Based on some of our most popular content, the Skills You Need Guide to Getting a Job is full of information and advice to help you be successful. It is unfortunate, but getting qualifications is not an automatic passport to a life of gainful employment, or even a short-term job. And even once you have a job, there is no guarantee that you will keep it. The concept of a ‘job for life’ is no longer one that most people would recognise Most people now move jobs several times during their working life, and may even change career more than once. This means that finding a job has become a key skill. 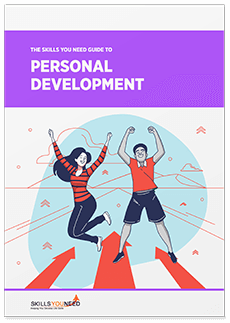 This Skills You Need guide takes you through the whole process. It starts by explaining the nature of skills, and moves on to help you identify what you can offer to employers, before moving on to identifying and then applying for a job and attending interviews. It also shows you how to avoid putting off potential employers, by making sure that your digital profile is as suitable as your CV or résumé. This is a book which no potential job-seeker can afford to be without. The four-part Skills You Need Guide to Leadership takes you from your first steps into leadership, through developing and becoming more confident in your leadership style, to how to get things done. The Skills You Need Guide to Getting a Job costs £7.50 (approx. $9.00 US). There is no special deal ending at midnight tonight, no special incentives because you’re the 100,000th person to read this, and absolutely no chance of winning an iPad. Regardless of whether you decide to buy an eBook or not, we’re not going to send you emails every day reminding you to join our ‘club’ or buy more stuff. You can of course subscribe to our newsletter if you choose to do so. You send us £7.50, we send you an The Skills You Need Guide to Getting a Job, that’s it, simple! There are no hidden extras and all taxes are included.